Alexander Adaire School is located in the heart of Fishtown, a Philadelphia neighborhood which earned its name as the center of the city's shad fishing industry. Today, the historic neighborhood is emerging as a hub for contemporary arts, food, and music, and the school has worked with The Trust for Public Land to transform its rundown asphalt schoolyard into a vibrant place for outdoor play and learning. The School District of Philadelphia, students, and a community group called the Friends of Adaire designed a colorful playground with new basketball courts and upgraded play equipment. The new yard is shaded by trees and surrounded by a big garden, creating opportunities for kids to connect with nature. These green features also absorb rainwater, keeping the playground clear of puddles and helping the city meet its stormwater management goals. 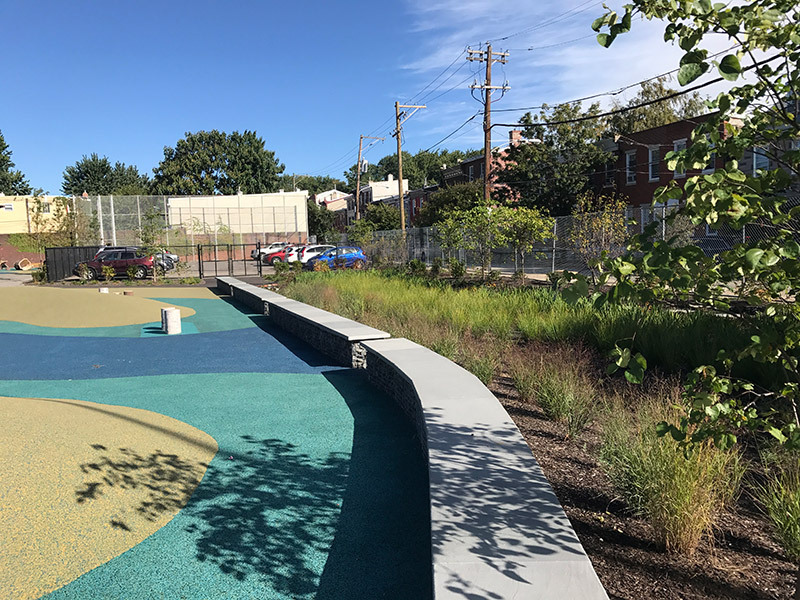 The Trust for Public Land finished construction at Alexander Adaire Elementary School in the fall of 2017 and opened the schoolyard for the community to enjoy in October.